This older building of white appears to have been another residence but has been taken over by a smoke shop. The single level building has a porch at the front, the overhang extending from the building to protect it from the weather. A set of steps on either side of the porch leads up onto the porch to the double-door entrance. On either side of the door are large windows with bars over them, as well as white blinds preventing anyone from seeing what's inside. 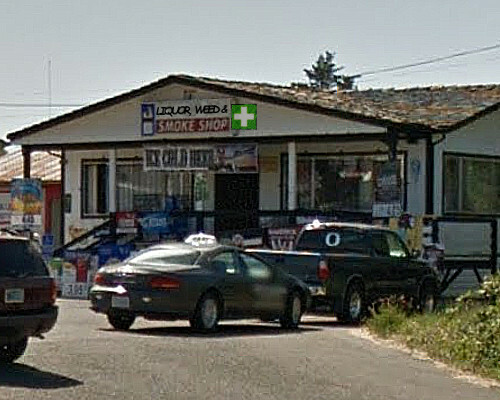 A vinyl sign hanging on the overhang has a white cross on a green background, as wells as words stating this store is a "Liquor, Weed & Smoke Shop". Smaller signs dot the outside of the building and porch, advertising various cigarette brands sold inside, as well as their price per pack and per carton. Along the street, lamps that are hung with baskets of flowers and seasonal banners that all have Mythic Wood and Daisy Street on them illuminating the area quite well after dusk. The smell of marijuana and tobacco fill the interior of the shop. 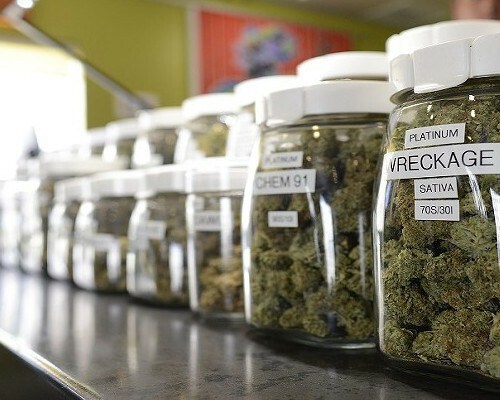 A long glass display case on one wall holds several dozen jars of marijuana with labels on the front detailing the kind inside, as well as the THC levels. 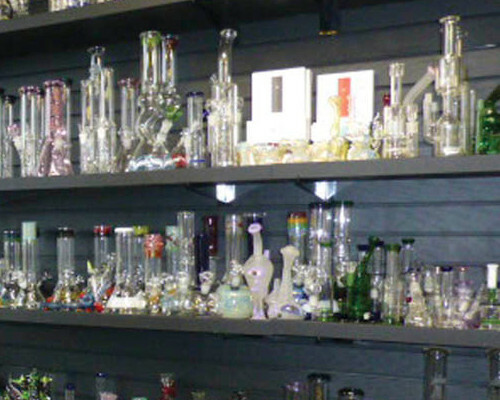 Behind the display cases are rows and rows of bongs, pipes, and other instruments designed to inhale the marijuana. The display cases end at the cash register right before the door to leave the store. Behind the cash register are several rows of cigarettes, packaged cigars, and pipe tobacco. 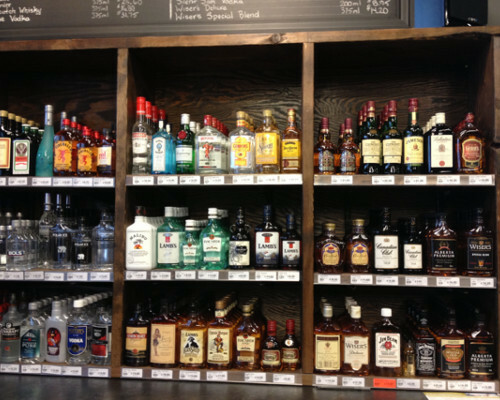 On the other side of the store are shelves of different kinds of liquor and wine, extending all the way to the back of the store, and there they meet several refrigerators containing cold beer, and chilled wine, and cannabutter and other more perishable edibles.